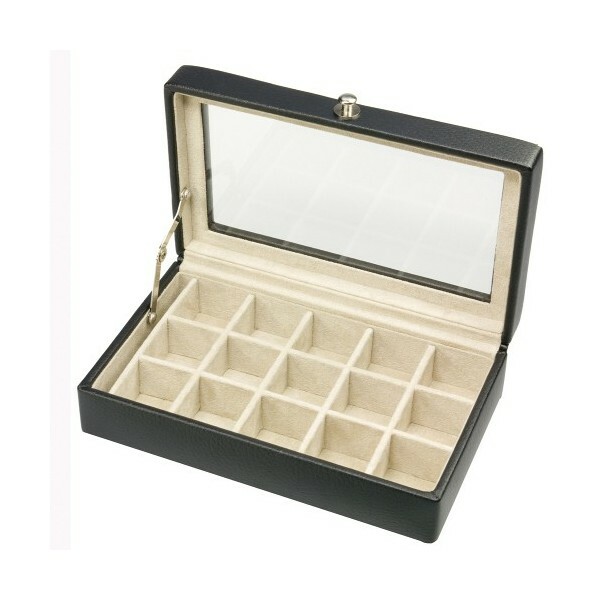 Black leather cufflink box with cream lining and glass window in lid. 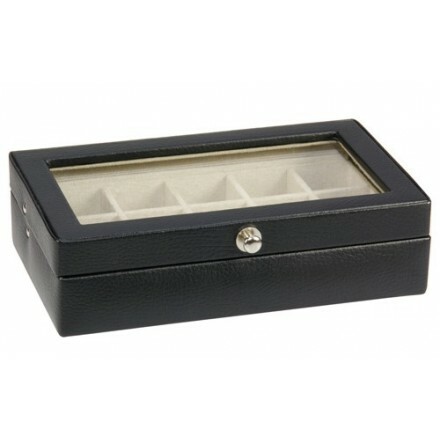 Black leather cufflink box with spaces for 15 sets of cufflinks or small items such as rings. Features a glass window in the lid so you can see the contents at a glance. A best seller already! ideal for travel or home. 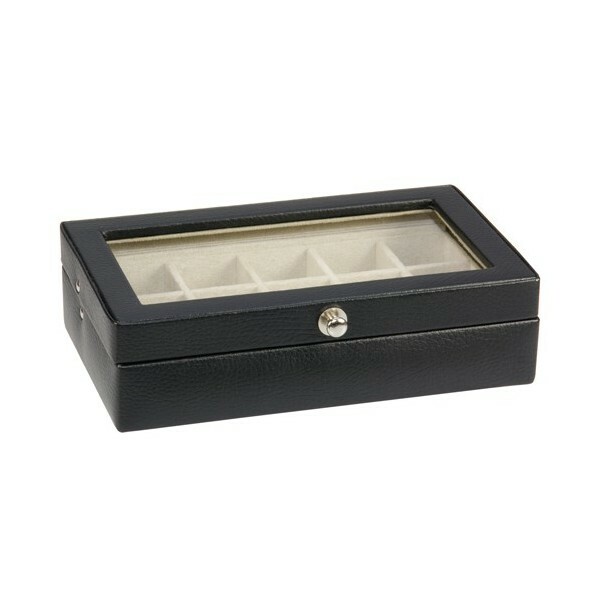 This beautifully simple and elegant box has a chrome coloured hinge to ensure that it stays open while you peruse your collection of cufflinks.